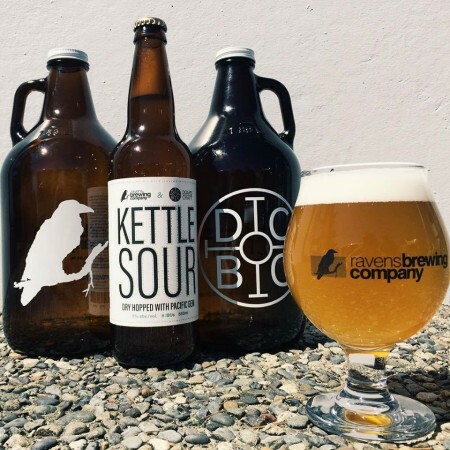 ABBOTSFORD, BC – Raven’s Brewing has announced the release of a new limited edition summer seasonal brewed in collaboration with Doan’s Craft Brewing. Utilizing New Zealand Hops and influenced by German styles we have created a true collaboration of flavours, ingredients and ideas, perfect for a West Coast Summer. Dry Hopped with Pacific Gem, this Kettle Sour combines a tart and light body with hints of Blackberry and Oak. Using Rye Malt enhances the complexity providing an underlying spiciness to blend with the fruity and bright notes. The new beers is on tap now and both brewery taprooms, and will be released soon in 650 ml bottles at both breweries and select private liquor stores.